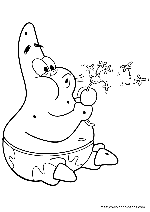 Patrick Star is an overweight pink sea star who lives under a rock and is SpongeBob's best friend. Patrick is not very intelligent, however he still offers SpongeBob advice and encourages dangerous and/or foolish activities which often get the two into trouble. 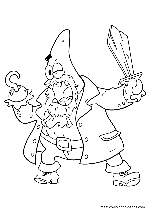 Patrick is often depicted as a negative influence on SpongeBob. Like most cartoon idiots, he has occasional bursts of genius Patrick's parents, Herb and Margie, are rarely seen in the series. 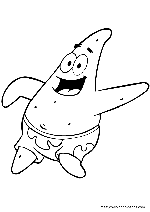 Patrick Star is a fictional animated character in the hit Nickelodeon animated series , SpongeBob SquarePants . 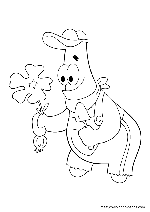 He is voiced by Bill Fagerbakke . 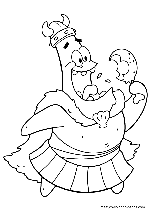 He is about the same age as SpongeBob, and is a plump, pink, friendly, well-meaning but really stupid (though he did attend a community college ) Sea star with good intentions. 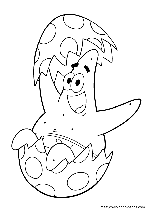 Starfishes are said to have no brains, and Patrick lives up to that image, as his head is frequently seen deflating. 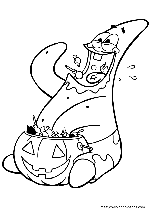 However, SpongeBob himself frequently attests to the "genius" of Patrick's harebrain ideas. He is SpongeBob 's best friend and has quite a lot of things in common with him. 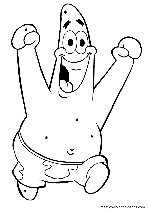 Like SpongeBob, Patrick is an invertebrate , which means that he has no backbone. He often walks into the Krusty Krab with the greeting "Good morning, Krusty Krew!". 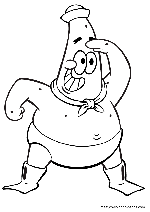 Patrick has crazy ideas that often get SpongeBob and himself into trouble such as alien hunting, acting as adults with sideburns and not as babies in front of SpongeBob's grandma, sneaking into Sandy 's Treedome in the winter, riding on fishing hooks, and many other situations such as going after King Neptune's crown . He fancies himself quite the jellyfisher , and loves many of the same things that SpongeBob loves. His erstwhile goal in life was to defeat the giant monkey-men and save the ninth dimension, but SpongeBob convinced him to aim lower. Patrick is somewhat jealous of SpongeBob's various awards and once tried to imitate everything he did hoping to get awards for it. Finally, he got an award for doing nothing longer than anyone else, which he was pleased with. 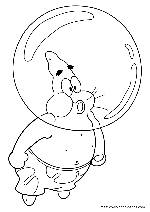 Later, we find out Patrick won the Dirty Bubble Challenge many years ago and then he lost the trophy they sent him in " Have You Seen This Snail? ", which also reveals one of his talents, being good at paddleball. 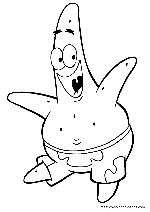 Patrick Star, like his pal SpongeBob is a big fan of Mermaid Man and Barnacle Boy . He also likes a lot of food (especially ice cream and cheese , which probably contributes to him being overweight), and riding on fishing hooks. When writing a movie script, he suggested the characters should drink "Cheese Coffee", and he requested that his room at the Krusty Towers be filled with cheese. In an older episode entitled " Hooky ", he risked his life for cheese. 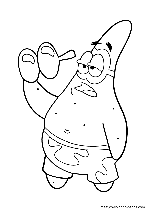 Arguably, one of the most difficult experiences of Patrick's life was when he had to open a jar in order to copy SpongeBob. He overcame his immense stupidity and was able to pull it off with flying colors thanks to SpongeBob's instructions and Patrick's perseverance. Unfortunately, after his success at jar-opening, he "spiked" the glass jar through the floor in jubilation.